I must be very empathetic, because when I look at the image of this dog, I yawn. I can't even help myself! It's no wonder that contagious yawning is a path used by social scientists to measure empathy - vicarious experiencing of the feelings, thoughts, and even attitudes of another. 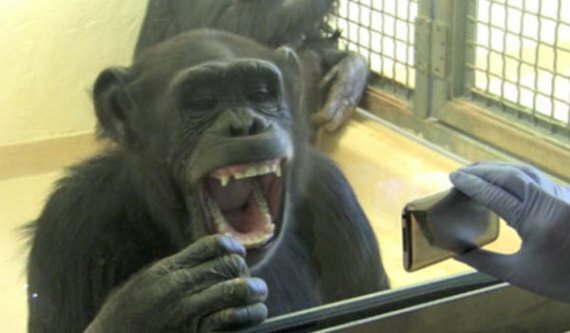 Baboons and chimps are champs at empathy, especially with members of their own family or group; but what about dogs? 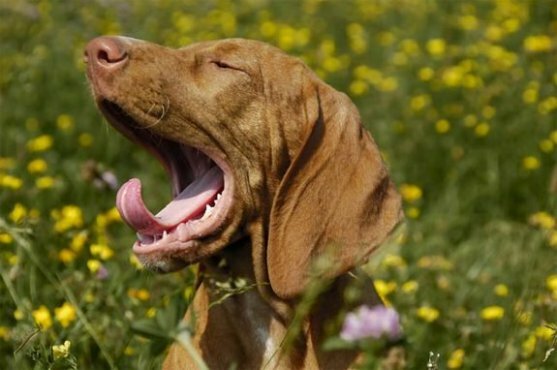 Karine Silva of the Universidade do Porto in Portugal, and her colleagues, found that some dogs catch yawns from their sound alone. The researchers studied the reactions of 29 pet dogs to their owners recorded yawns, another human's recorded yawns, and all of the yawns played backwards. Testing was conducted in the pets' homes in two sessions. The sounds were randomly spaced and repeated five times each. Eight of the 29 dogs yawned in response to human yawns, and most often when they heard their owner's yawn. Though no firm conclusions can be drawn from this small sample, it does provide enough data to suggest that at least some dogs are more empathetic than others. Perhaps these dogs would make better therapy dogs, and perhaps a yawn test might some day be used to screen potential therapy dogs for special tasks.